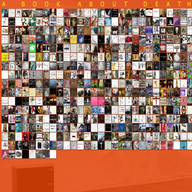 A BOOK ABOUT DEATH : ARTISTS CONTRIBUTE 500 POST CARDS EACH TO CREATE AN UNBOUND BOOK ABOUT DEATH. AN HOMAGE TO RAY JOHNSON, A CELEBRATION OF EMILY HARVEY, A GLOBAL EXPLORATION OF DEATH. EXHIBITION AT THE EMILY HARVEY FOUNDATION GALLERY IN NEW YORK CITY. OPENING: THURSDAY 10 SEPTEMBER 2009. EXHIBITION: 10 - 22 SEPTEMBER 2009. OPENING : 7:30 - 11 PM.